The host of daytime talk show calls the “Suits” star as a random princess and she dishes that the actress came to her show to find out what she could do here. She emphasizes that the bride-to-be has been in their building so they have their DNA. The 53-year-old host also thinks that Meghan is a wild card because of her stint as a glamorous ‘box girl’ on the “Deal Or No Deal” game show. She also explains that the actress is a girl looking for a game. Meanwhile, Wendy Williams also talked about Meghan Markle when she interviewed AnnaLynne McCord. 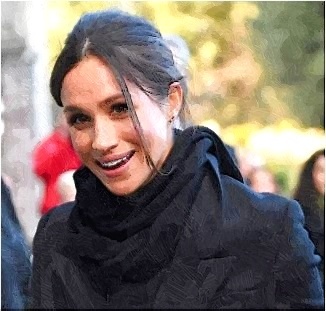 The former 90210 star explained that the royal fiancee of Prince Harry became a guest star on her show and she played the other woman in a love triangle.